Four Walls and a Bed not for you? Poipu Beach Athletic Club included with all stays! 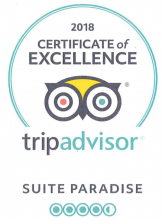 Suite Paradise has over 140 vacation condos to choose from across several of the best resorts in the Poipu area of Kauai. Choose from six beautiful and luxurious beach resorts on Kauai's spectacular South Shore – Poipu Kai Resort, one of Kauai's most prestigious beachfront resorts, Kiahuna Plantation, which offers old word Hawaiian charm, Nihi Kai Villas, a comfortable and quiet beach resort, Poipu Crater, exotically nestled in a verdant and extinct volcano crater, Lawai Beach, luxurious oceanfront condos located on the best snorkeling spot on the island, and Poipu Kapilli, a beautiful and peaceful resort located on five acres of meticulously landscaped oceanfront property.